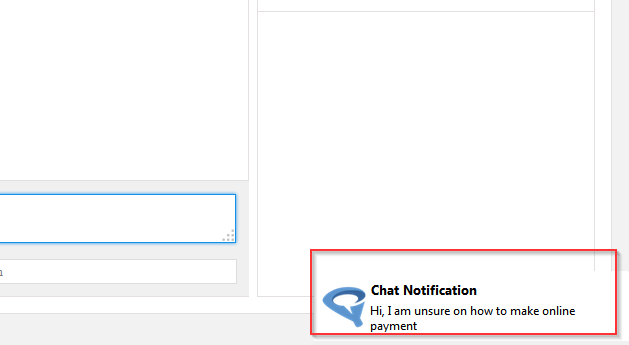 Disabling desktop notifications for Conversion Support live chat is a bit tricky because once desktop notifications ar enabled, chat notifications appear on your desktop rather than in your browser. 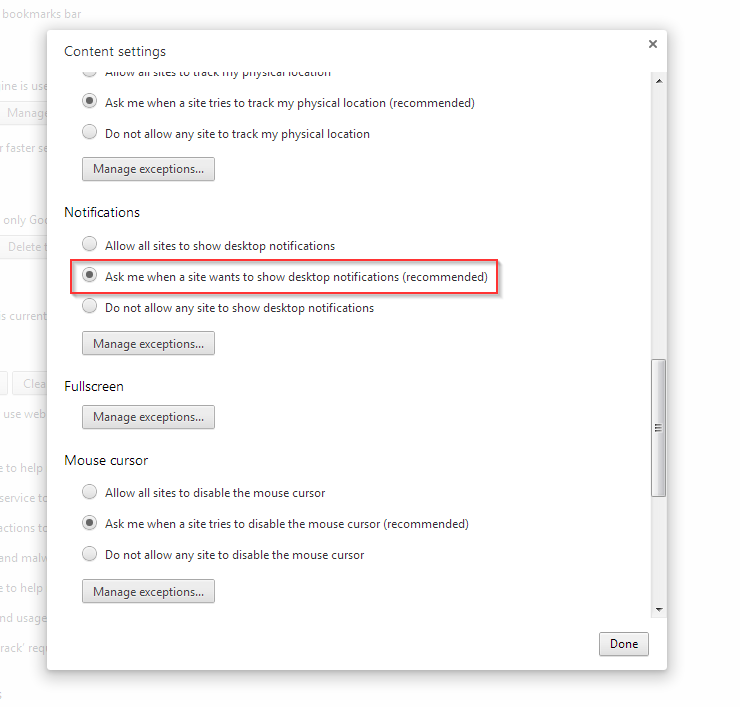 To disable desktop notifications in Conversion Support, you need to make some changes to your browser. You can either change “content settings” of your browser or add an exception to Conversion Support’s desktop notifications. 1. 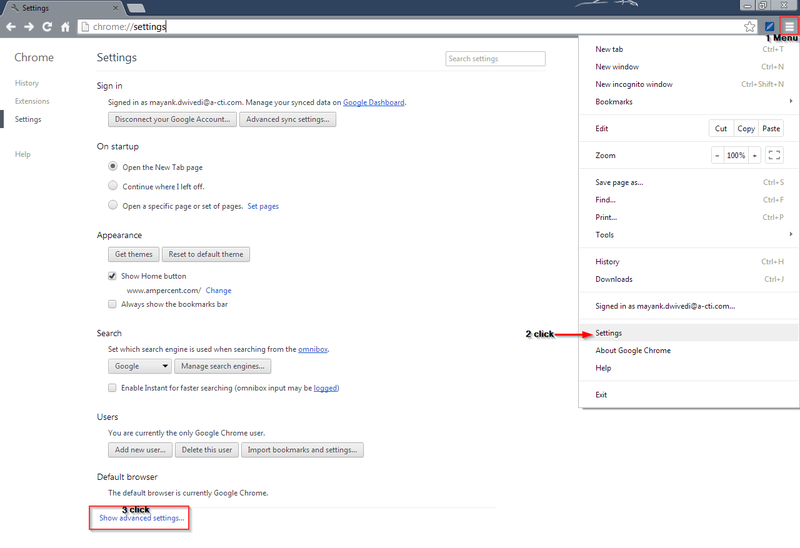 In Google Chrome, click the “Menu” button and choose “Settings”. In the “Settings” page, click on “Show Advanced Settings”. 2. Under “Show advanced settings” -> “Privacy” click “Content settings”. 3. 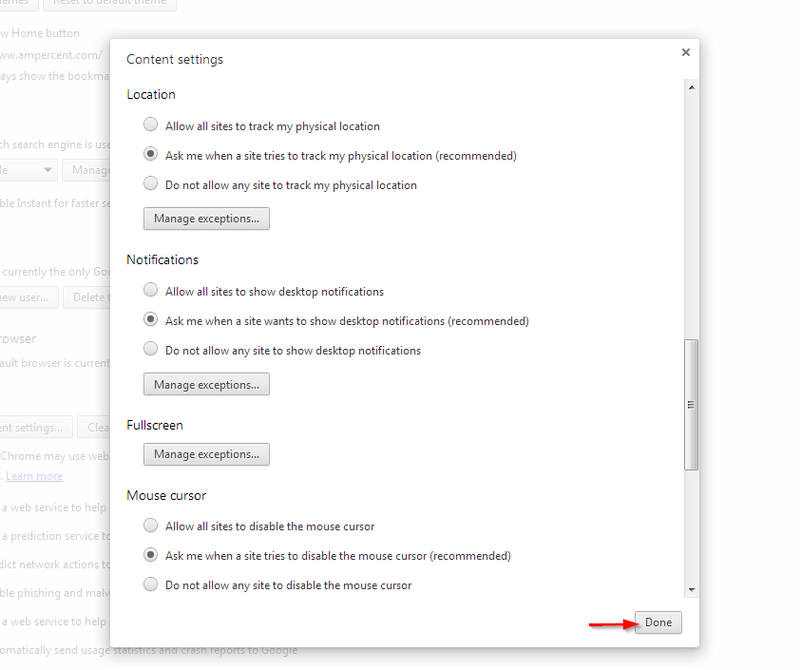 Under “Content settings” ->”Notifications”, change to “Ask me when a site wants to show desktop notifications (recommended)” from “allow all sites to show desktop notifications”. 4. 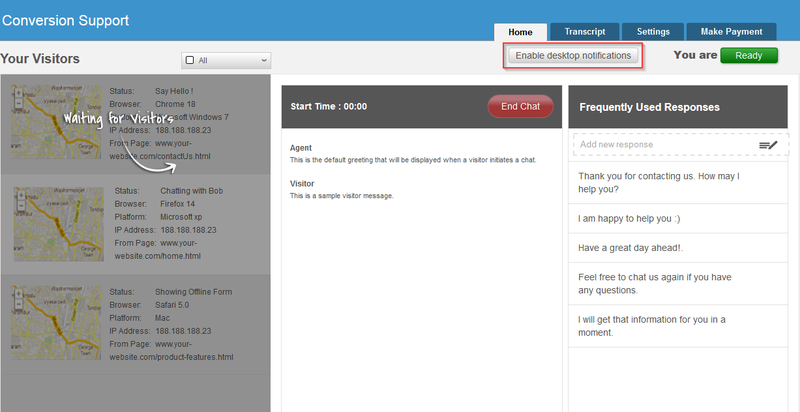 Click “Manage Exceptions” under “Notifications” and remove “http://webchat.conversionsupport.com:80″. 5. Now to make sure that “Desktop notification” is being disabled, re-login to your Conversion Support account and you should be able to see “Enable Desktop Notification” button again. This means the chat “Desktop Notification” is disabled and ready to be enabled. Mozilla Firefox doesn’t natively support desktop notifications. In order to get the “Enable Desktop Notification” prompt in Firefox, please install this HTML desktop notification add-on first. When you have installed the HTML 5 desktop notifications add-on for Firefox, login to your COnversion Support account console and you should see the “Enable Desktop Notification” button under the “Home” tab. Find the screenshot below. You need to hit the “Enable desktop notifications” button before you can disable it. 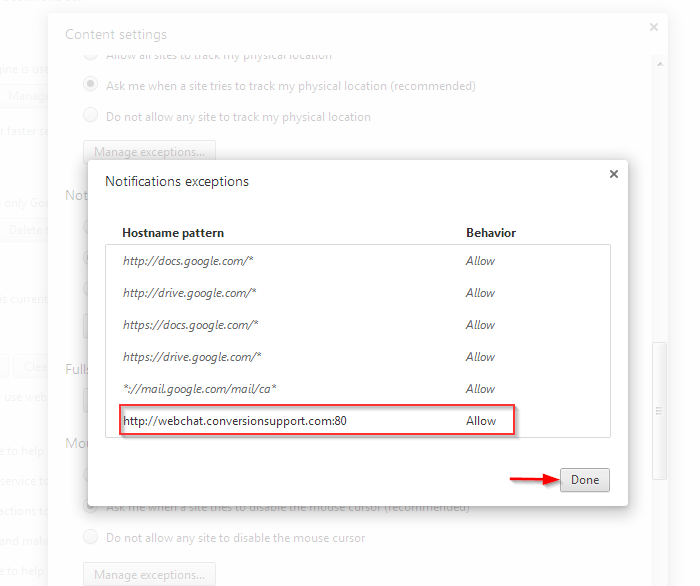 Click “Enable desktop notification” and allow the add-on to run on Conversion Support. 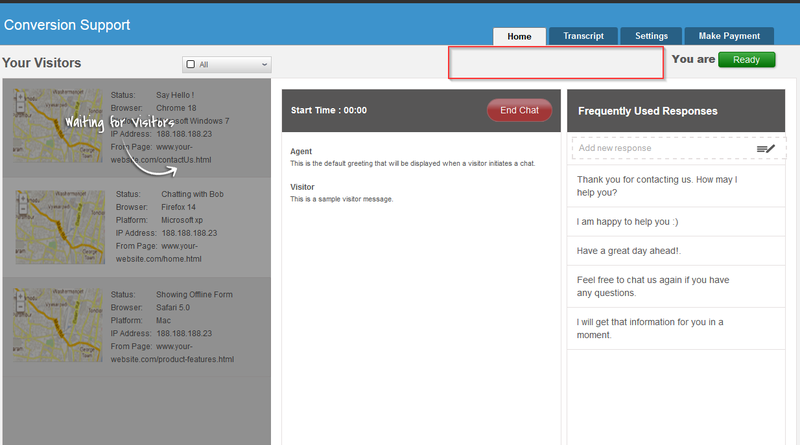 Once allowed, desktop notifications for live chat will start coming automatically. 1. 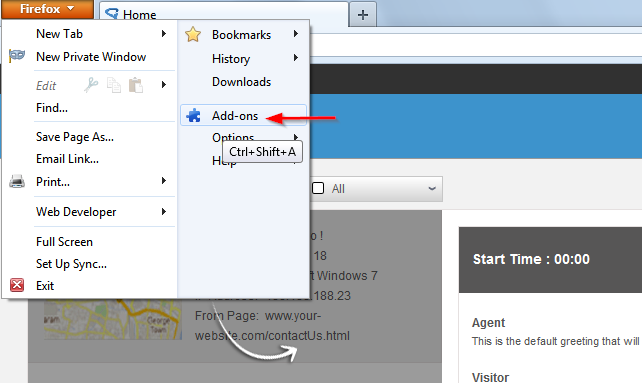 Click the “Firefox” menu button and choose “Add ons”. Under “Add ons”, click “Extensions” and hit “disable” on HTML Notification add on and click “restart now”. 2. 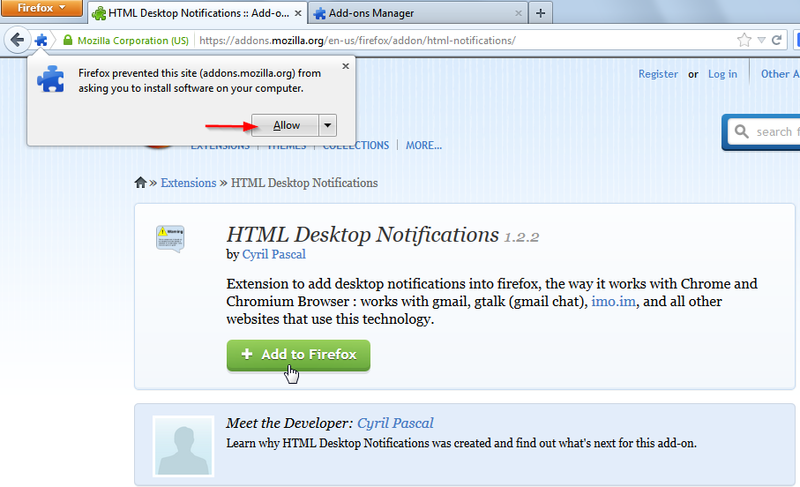 When Firefox restarts, navigate to “Firefox” menu, click “addons” and make sure the “HTML5 Notifications” is disabled. 3. Login to your Conversion Support account. Now, “Enable Desktop Notification” button will not be there. It means notifications have been successfully disabled. Need help with desktop notifications? Please contact us or write to us at support@conversionsupport.com and we will get back to you.